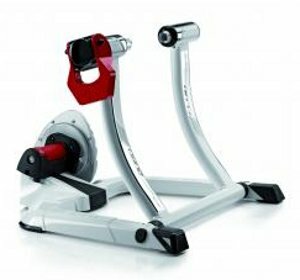 The Elite Qubo Power Fluid is a good all-round turbo trainer that is quiet and provides enough resistance to test the typical everyday user. 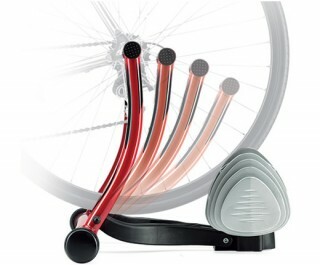 The trainer is easy to use and easily folds down for storage. The Elite Qubo Power Fluid is stable and offers adjustable feet for uneven surfaces. 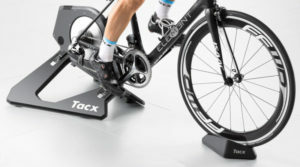 The resistance on the unit adjusts automatically as you cycle through the gears whilst the trainer uses the riders own weight to ensure the rear wheel remains in contact with the roller. 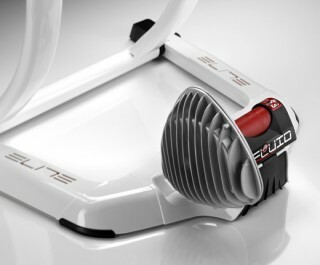 The Elite Qubo Power Fluid is 100% more powerful than the standard fluid trainers, and a large flywheel that is completely immersed in oil provides a high resistance even at low speeds. This is Elites most powerful trainer to date, and it is very quiet when in use. Using the unique Elite Elastogel resistance roller you get 20% less tyre wear and 50% less noise when compared to a traditional turbo resistance roller. 20” all the way to 29” wheels will fit on this cycle trainer.